Starch syrup is a translucent, sticky, and thick sugar syrup, and it is commonly used as a natural sweeteners in various food products. Starch syrups are made of maltose, higher saccharides, and glucose, and different types of starch syrups are available distinguished according to the combination of carbohydrates in them. Sweeteners are among the most commonly used sugar substitutes that are low in calorie or also can be calorie free. Manufacturers in the starch syrups and sweeteners market are introducing natural sweeteners known as stevia, erythritol, and xylitol. 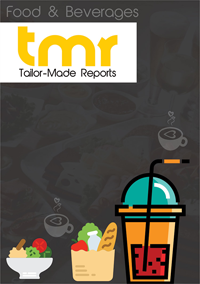 Leading companies that are gaining momentum in the starch syrups and sweeteners market include Corn Products International, Cargill Inc., Aston, KASYAP, Gulshan Polyols Ltd., MANILDRA Group, AJINOMOTO, Xiwang Sugar Holdings Company, Celanese Corporation, Luzhou Bio-chem Technology, DuPont Nutrition & Health, Tongaat Hulett Starch, Ingredion, Global Sweeteners Holdings Limited, Tereos, Grain Processing Corporation, Archer Daniels Midland and Tate & Lyle, Karo Syrups, Egyptian Starch and Glucose, and COFCO Rongshi Biotechnology. The Archer Daniels Midland Company – an American player in the starch syrups and sweeteners market – recently announced that it has entered an agreement to acquire 50 percent equity stake in Aston Foods and Food Ingredients – a Russia-based starch syrups and sweeteners business. The company announced that this investment is aimed towards expanding company’s corn business across the world and to gain a stronger position in the global starch syrups and sweeteners market. Cargill Inc., another leading player in the starch syrups and sweeteners market, recently declared its joint venture with Koninklijke DSM N.V., a Dutch multinational health and nutrition company, to launch zero-calorie, non-artificial, and cost-effective sweeteners. The company announced that the joint venture will combine technologies from both the company for producing fermentation-derived Reb M and Reb D steviol glycosides. Tate & Lyle PLC – a British supplier of food and beverage ingredients and leading player in the starch syrups and sweeteners market – recently announced the launch of TASTEVA® M Stevia Sweetener – its new label-friendly and premium Reb M stevia sweetener. With the launch of the new stevia sweetener the company aims to expand its starch syrups and sweeteners portfolio and ultimately, gain a competitive edge in the starch syrups and sweeteners market. Increasing growth of the sugar reduction trend due to the obesity epidemic is one of the leading drivers for the starch syrups and sweeteners market. According to the facts declared by the World Health Organization (WHO), in 2016, over 600 million adults were obese and more than 1.9 billion adults were overweight all over the world. The prevalence of obesity is not increasing only among adults, but around 340 million children and adolescents and 41 million children under the age of 5 years also were overweight or obese, in the same year. Obesity epidemic is observed throughout the whole world, which is mainly attributed to incorrect eating habits. Consumers are changing their dietary habits, which is triggering needs for sugar reduction and demand for starch syrups and sweeteners. Thereby, increasing demand for sugar-free and low-calorie food products is driving growth of the starch syrups and sweeteners market. Despite the rising popularity of the sugar reduction trend, health-conscious consumers are becoming aware of the negative effects of the artificial sweeteners on health, which may reduce demand for starch syrups and sweeteners. Though consumption of starch syrups and sweeteners can control weight gain, however, the incidences of starch syrups and sweeteners disrupting metabolism among some consumers have been observed. Thereby, some consumers are averse to consuming sugar substitutes, such as starch syrups and sweeteners, which is making a negative impact on growth of the starch syrups and sweeteners market. While a large number of consumers are turning to starch syrups and sweeteners as a sugar substitute, increasing awareness about the side effects of consuming starch syrups and sweeteners has resulted in governing bodies imposing strict regulations to ensure consumers’ safety. Manufacturers in the starch syrups and sweeteners market need to conform to various standards and labelling rules to before entering regional markets. Mandatory compliance with strict regulations can add to the production cost of starch syrups and sweeteners, making it challenging for manufacturers in the starch syrups and sweeteners market to offer competitive prices.